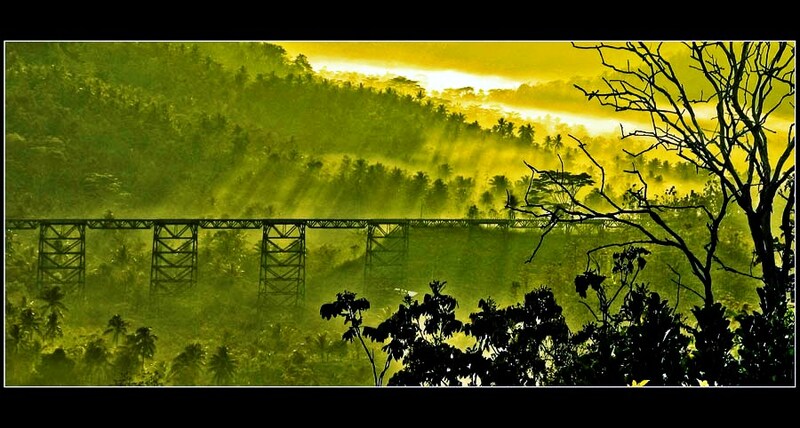 Cikacepit Bridge is an old train bridge in Pangandaran, West Java. The bridge is one of Pangandaran's heritage. Canon PowerShot A700 ƒ/4.0 1/200 17.2 mm. 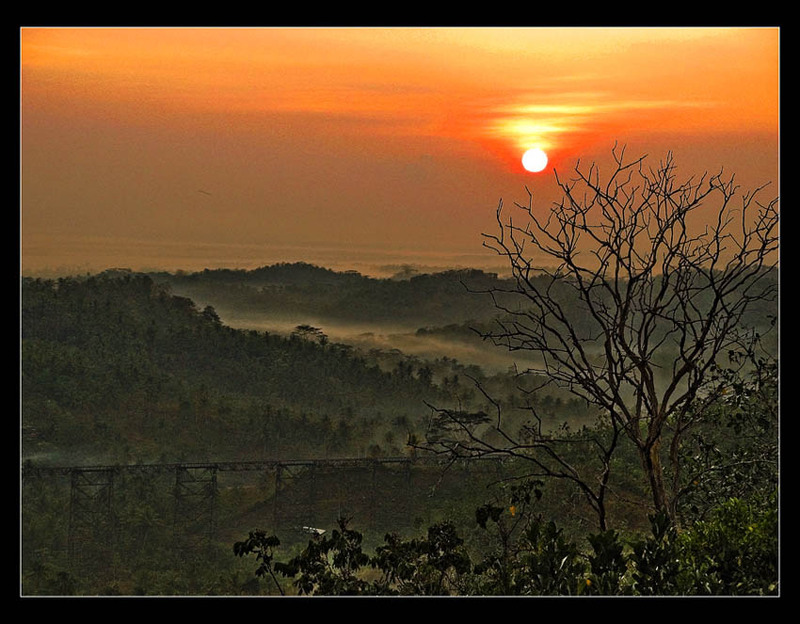 The sunrise over Cikacepit bridge is always beautiful, especially in dry season. You can find location of Cikacepit bridge using Google Maps. Here is another Cikacepit's sunrise photo. 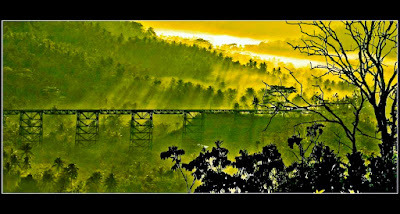 Morning at Cikacepit bridge photographed using Canon PowerShot A700.